PHUKET: Local officials this week were called to explain to national Ombudman Boon Tapanadul the current status of investigation of alleged encroachment into a mangrove forest in northern Phuket – and the rights of street vendors serving food on public land at Phuket’s renowned Sarasin Bridge. Called to the meeting, held at the Department of Disaster Prevention and Mitigation (DDPM) Phuket office in Phuket Town on Thursday (April 20), were Phuket Vice Governor Teera Anantaseriwidhya; Phuket Damrongdharma Centre (Ombudsman’s Office) Chief Mr Kasem Sukwaree and Phuket Office of Natural Resources and Environment Chief Nanthasak Boonnak. Also present was Chat Chalarat, head of the Mangrove Forest Resources Development Station 23 of the Phuket Department of Marine and Coastal Resources (DMCR), among other officials. The meeting was called following a complaint to the national Ombudsman’s Office filed by local residents led by Sakchai Chaowai. The residents urged officials to investigate alleged land encroachment in a mangrove forest at Khlong Tha Maphrao, specifically in Moo 5 and Moo 10 of Tambon Thepkrasattri in Thalang, and the use of public land at Sarasin Bridge. “Mr Sakchai and other residents have claimed to the Office of the Ombudsman Thailand that the Phuket office of Natural Resources and Environment and Mangrove Forest Resources Development Station 23 are ignoring their requests to investigate encroachment of the Khlong Tha Maphrao mangrove forest,” Mr Nantasak explained. 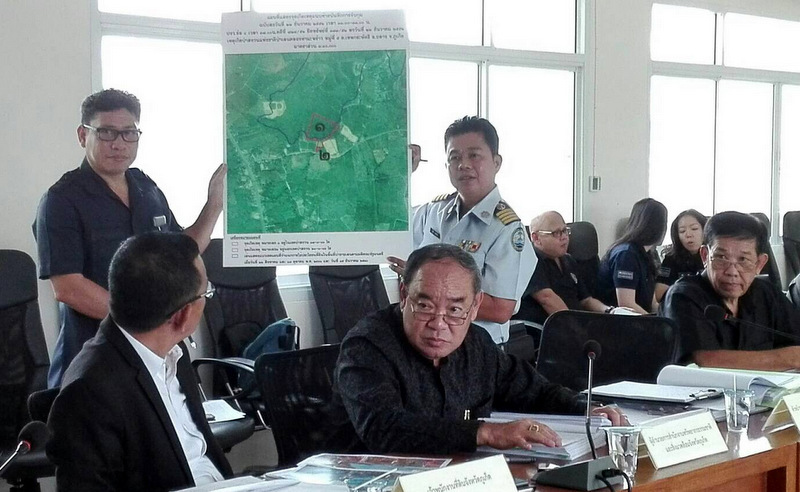 “However, in the past both agencies and also the Forest Protection and Preservation Unit in Thalang have been investigating the issues and are taking action,” he assured. 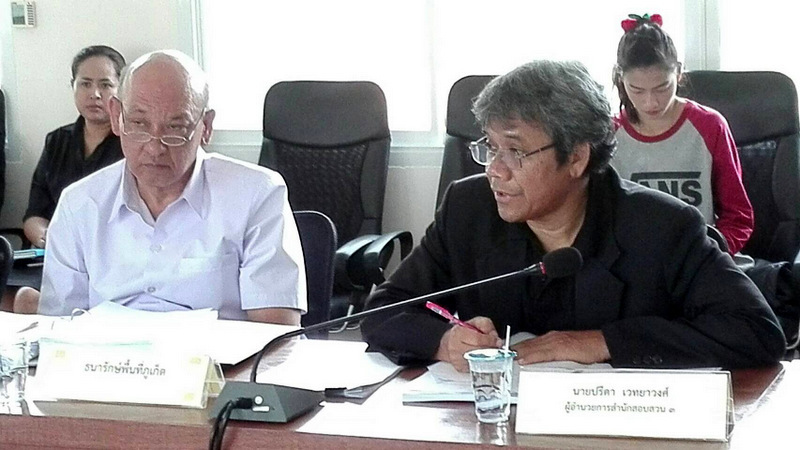 “The issue is now actually in the hands of the Phuket Provincial Court,” Mr Nantasak added. “With regards to the Khlong Tha Maphrao issue, this relates to allegations that a canal has been filled in with rocks and soil. Construction equipment was also said to be on the land,” he added. “Officials from Thalang District Office are till measuring the protected area’s borders. If they find that there is an intrusion, people who have been involved will face legal action,” Mr Nantasak said. 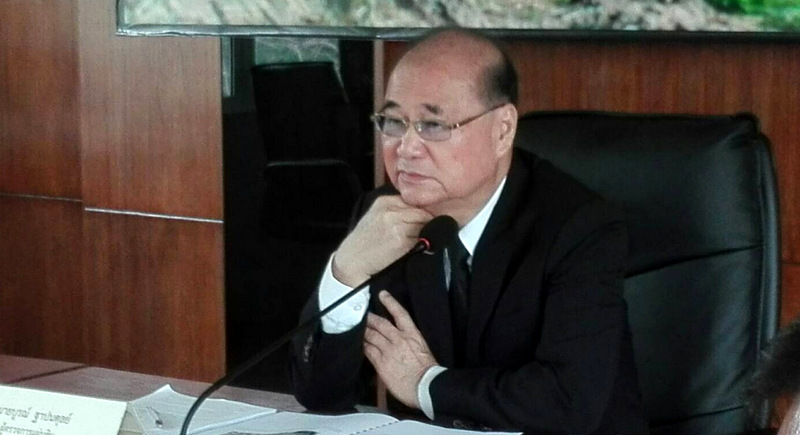 Mr Boon ordered the Phuket Provincial Office, which headed by Phuket Governor Norraphat Plodthong with the the assistance of his three Vice Governors, to come up with a solution to the mangrove encroachment issue. “And with the problem issue at the foot of the Sarasin Bridge,” he said. “The Damrongdham Centre must contact the Department of Land other offices to work together for fairness to all parties in order to find a solution,” Mr Boon added. However V/Gov Teera thanked Mr Boon and all officers involved “in helping to find a solution”. Mr Boon, who served as a Senior Justice at the Supreme Court before his appointment to the national Ombudsman’s Office of Thailand in 2015, may have a special interest in Phuket’s affairs. He graduated from Phuket Wittayalai School before continuing his studies at Amnuay Silpa School in Bangkok. As the national Ombudsman, Mr Boon is second in the country only to Gen Viddhavat Rajatanun, who holds the position of “Ombudsman for Chief Ombudsman of Thailand”.